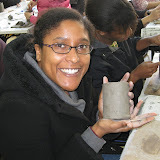 We had a ceramic art class in our school. We made a mug cup under instructor's guidance. 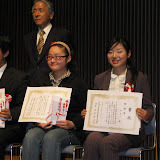 It was the first time for almost students. Instructor Ms.Karube finish up our cup in an oven.